Like Josh White, Jr. -- son of folksinger Josh White -- singer, songwriter, and guitarist Eric Bibb was raised in the folk tradition, the son of folksinger Leon Bibb. Bibb's uncle was the world-famous jazz pianist and composer John Lewis, part of the Modern Jazz Quartet. Bibb was raised in a music-filled household, and family friends in the '50s and '60s included Pete Seeger, Odetta, Bob Dylan, and the late Paul Robeson, who was named Eric's godfather. Bibb got his first steel guitar at age seven, and some advice from Dylan that he never forgot: "keep it simple, forget all that fancy stuff." When he was 13, Bibb entered New York City's High School of Music and Art, where he studied double bass, vocals, classical guitar, and piano. When he was 16, his father asked him to play guitar in the house band for his TV talent show, Someone New. In 1970, Bibb left New York City for Paris, where he met with guitarist Mickey Baker. There, he began to focus on blues guitar, and after moving to Stockholm, he became enamored with prewar blues. 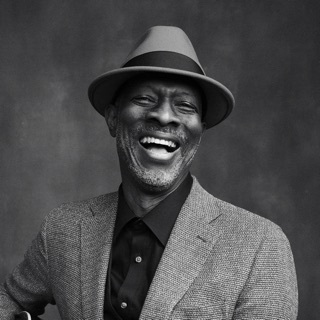 He continued to write his own songs and perform during this time, and returned to New York in 1980 to pursue a career as a folk and blues singer. He moved back to Sweden five years later and continued performing, but also taught music in school. His debut, Spirit and the Blues, showcased the sounds of bouzouki, mandolin, accordion, and a gospel group, inspired by other recordings that married bluesmen like Lead Belly with gospel groups like the Golden Gate Quartet. He performed at the London Blues Festival in 1996, where he shared a set with Corey Harris and Keb' Mo', and he quickly followed up with 1997's Good Stuff. His third album, Me to You, featured performances and collaborations with some of his musical heroes, including Pops & Mavis Staples and Taj Mahal. He followed up the success of the album with tours of the U.K., U.S., Canada, France, Germany, and Sweden. He recorded and released Home to Me in 1999, Roadworks in 2000, Painting Signs and Just Like Love in 2001, and A Family Affair in 2001, which featured duets and solo tunes by Bibb and his father. Bibb joined Robert Cray on two U.S. tours in 2001 and 2002, and opened for Ray Charles in the summer of 2002. Bibb was nominated for a Grammy for "Shakin' a Tailfeather," and he has been nominated for many W.C. Handy Awards in a variety of categories. Ever the prolific songwriter, forever brimming with new musical ideas and a freshness of appreciation with no dimming in his enthusiasm for performing, Bibb has kept up a hectic schedule of performing and recording since Home to Me and A Family Affair were released in 2001. He recorded Natural Light for Earthbeat in 2003, Roadworks and Sisters and Brothers in 2004, and Friends in 2004. His late-2000s recordings include A Ship Called Love, Diamond Days, and Twelve Gates to the City in 2006, and a collaboration with his father, Praising Peace: A Tribute to Paul Robeson. He released a live album in 2007, An Evening with Eric Bibb, for the Telarc Blues label. Released in 2008, Get on Board on Telarc Blues featured performances by Bonnie Raitt and Ruthie Foster. Bibb described the sounds and songs on the album best when he said it was "a further exploration into the place where blues meets gospel and soul."